Comments: Obverse 3 is paired with a second Type I reverse die. 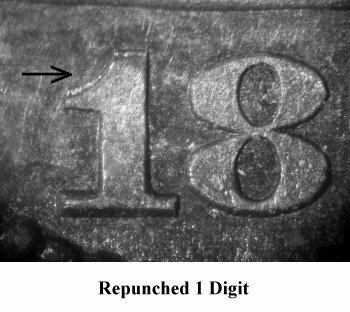 The 1 digit in the date has been repunched down and the last 7 digit has been repunched up on Obverse 3. The repunching of the 1 digit is clearly visible above the flag. Obverse 3 is paired with Reverse H, which can be diagnosed by a small CC mintmark that has a strong right tilt. Obverse 3 is clashed while Reverse H shows no signs of being clashed. Reverse H is doubled as are all Type I reverse dies. 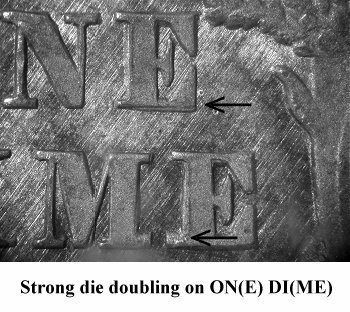 Doubling is most obvious on the E in ONE and on ME in DIME. Please note that Obverse 3 will come with varying degree of repunching on the 1 and last 7 digits. This variety is difficult to diagnose, as some circulated examples exhibit little if any traces of repunching. 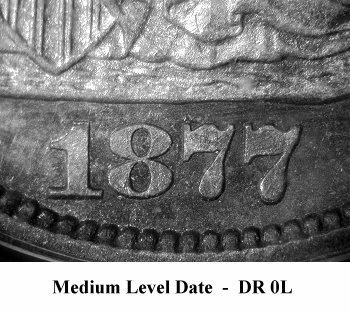 Use the Denticle Ruler position of DR 0L to identify Obverse 3. 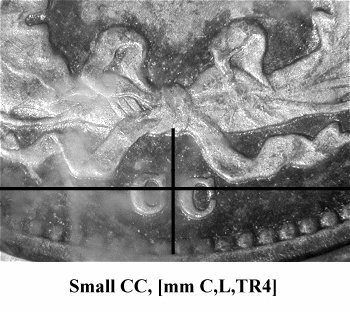 This diagnosing difficulty resulted in the F-109 obverse die being originally designated as Obverse 7 due to lack of repunching on the available plate coin. As of October, 2008 the Obverse 7 listing is removed and replaced with Obverse 3. On Reverse H, there is a strong right tilt on the mintmark. Use this diagnostic point to identify Variety 109 along with obverse date position of DR 0L. 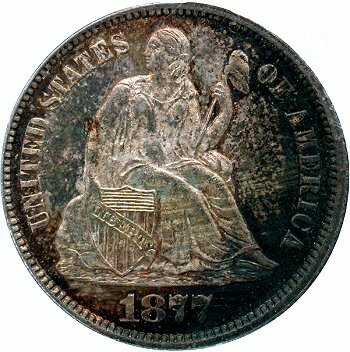 Both Jim Smith and I first noticed a Seated dime on eBay with undiscovered Reverse H during late 2004. 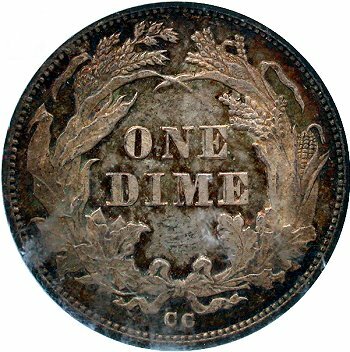 Jim purchased the dime and allowed usage as a plate coin until a PCGS MS64 upgrade was located at the 2008 ANA show.